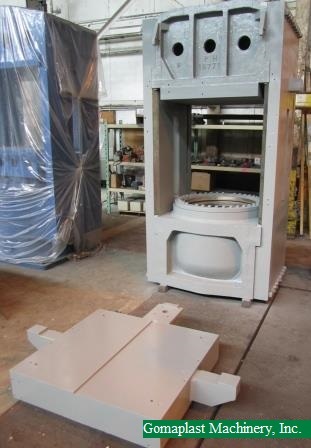 34 3/4″ daylight without platens. 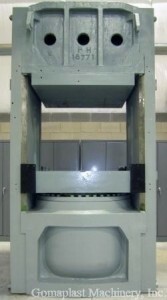 49 1/2″ Working height to top of the bolster. Ram, ram housing and gland ring have been reconditioned and a new seal will be installed. 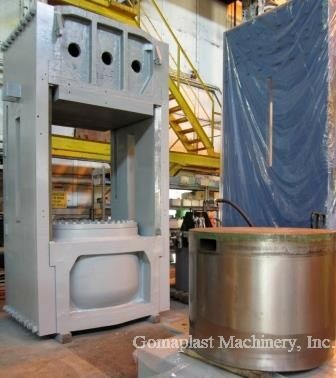 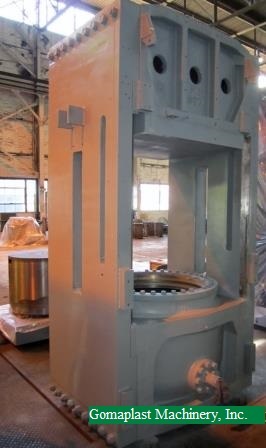 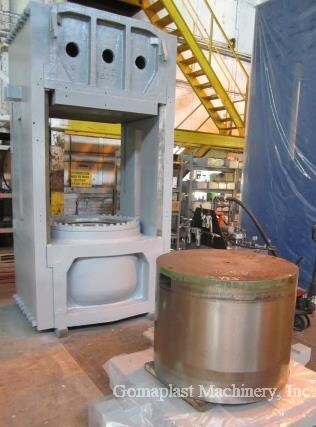 Bare press (as shown in foto) is in stock and available for immediate delivery. 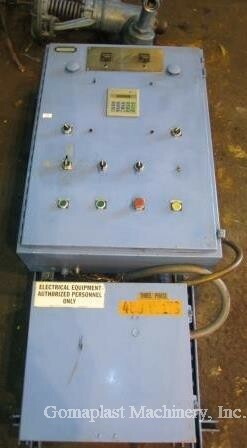 New electric platens, new hydraulics and new PLC controls are available in stock for immediate delivery. 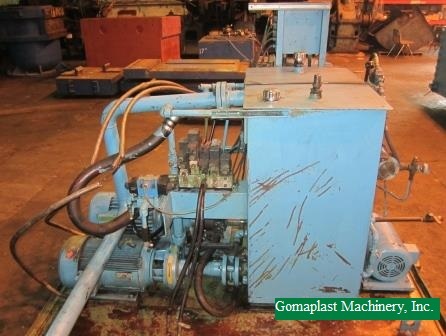 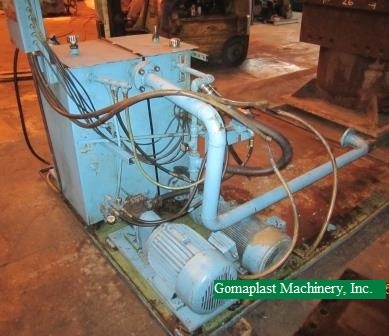 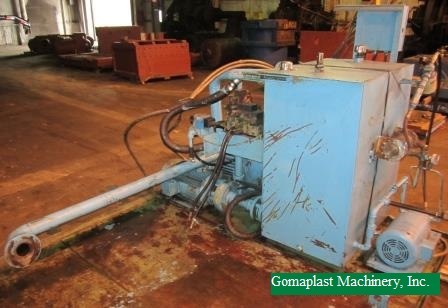 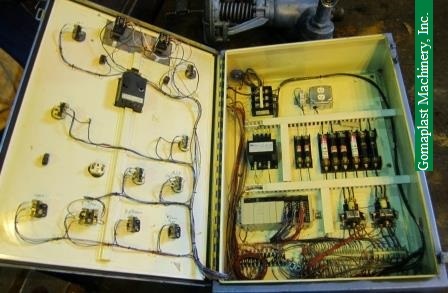 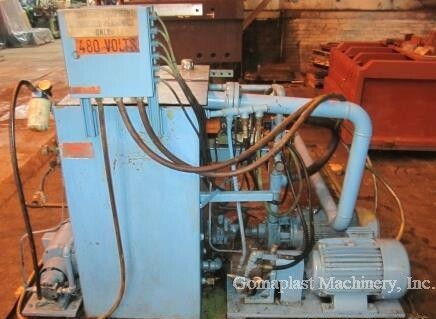 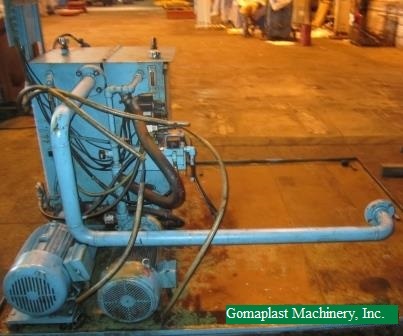 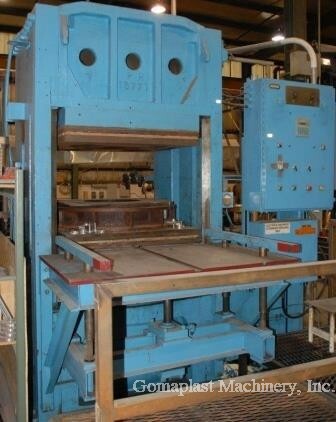 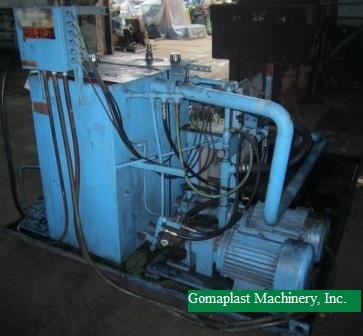 Also available are the original hydraulic unit, control panel, and electric platens in “as-is” condition.